Following on from the blogs on the front row (https://cardiffbluesblog.wordpress.com/2015/06/22/team-report-front-row/) and lock (https://cardiffbluesblog.wordpress.com/2015/07/09/team-report-lock/), we round off the forwards part of the team report looking at the back row, and it makes for slightly better reading at least. 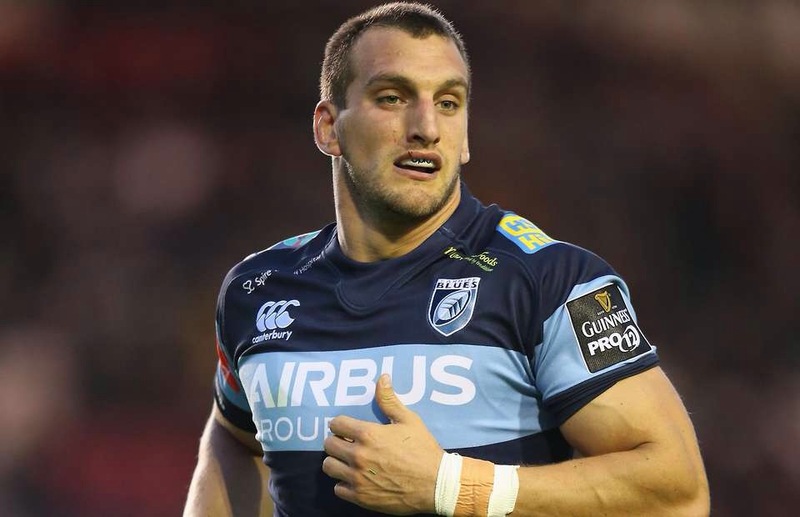 If you’re talking about Cardiff’s back row there’s only one place to start, and it’s with a certain Mr Sam Warburton. Ever since replacing Cardiff and Wales legend Martyn Williams as the starting openside flanker at both club and international level in 2010, he has grown in stature both in his play and leadership, culminating in becoming the youngest captain to lead Wales at a World Cup, achieving the most Wales caps as captain of the side, and being the first Welsh captain of the Lions since Phil Bennett in 1977 on the 2013 tour of Australia. Warburton has undoubted quality, and is without doubt our best flanker at the moment, however I do sometimes question his performances in a blue shirt. I think this is more to do with the high levels he sets in a Wales jersey rather than any real under-performance issues for Cardiff, but I just can’t help but feel this season that the National Dual Contract he has signed with the Blues and WRU sees him not completely giving his all for Cardiff. It brings up an interesting debate over whether, as Welsh pro rugby club supporters, we want our best players playing more regularly for our home clubs as WRU employees (Warburton made his joint-most starts for Cardiff with 16 last season), we want our best players putting their bodies more on the line risking injury but available, in theory, for all games, although at risk of joining foreign clubs, or just letting our best players join the clubs abroad and using the money saved elsewhere. As things stand with Sam I would like to see more heroic performances that we see for Wales, but his passion isn’t doubted, the story of reading the team the riot act in training before Judgement Day shows that, therefore we do still benefit from his 16 appearances a year, and hopefully an improvement in the overall team performance will lift Warburton with it. Behind Warburton, the conveyor belt of back row talent coming through the Cardiff academy keeps rolling, producing Ellis Jenkins, and the undoubted star of last season, Josh Navidi. In terms of Jenkins, we have seen some excellent performances from the 22 year old who is certainly living up to early showings of potential after captaining Wales U20 to a runner-up place at the Junior World Championship in 2013. Last season he cemented his breakthrough year of 2013/14, appearing 22 times in all competitions and scoring four tries, demonstrating his ability with ball in hand as well as at the breakdown. Unfortunately he will find himself behind Sam Warburton in the pecking order for now, but with years and years ahead of him, he has plenty of time to learn, step up when Sam is on Wales duty, and one day take his place permanently. Onto Navidi, and there’s not much more that can be said that hasn’t been already written. Josh has won a player of the year award, either from the coaches, players or staff, in each of the last three seasons, and last year was the pick of the bunch again. Mark Hammett has to be given credit for one of a few things he brought to the Arms Park, which is switching Navidi to Number 8, where the man with the dread locks has flourished. His ability to get around the pitch, his ball carrying and defensive performances all have resulted in him becoming one of the best players in the Pro12, and I can’t see a return to flanker coming any time soon. How Navidi was not included in the Wales RWC training squad is just a mystery, and quite frankly a travesty. However, if both Ellis Jenkins and Josh Navidi continue to progress the way they are, they will become part of the Wales back row at some point. The emergence of Navidi at Number 8, although good for the region, hasn’t been the best thing for Manoa Vosawai. After joining from Treviso at the start of last season, the Italian international started the season well, holding down a starting spot, and putting in a number of big, physical displays. 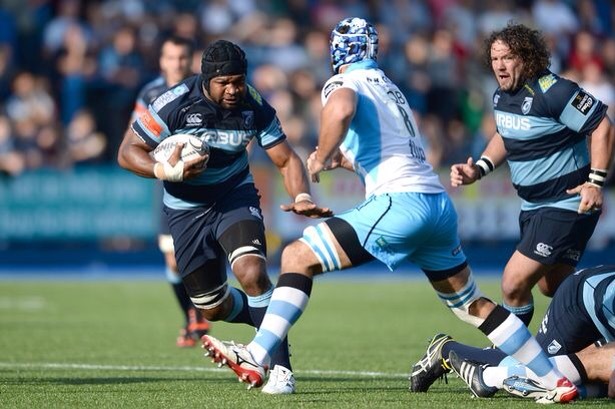 However, his form turned a bit indifferent along with that of the team’s and the Fijian born man was consigned to a more bit-part role in the second half of the season as Navidi laid claim to the spot at the back of the scrum. Having said that, I didn’t ever feel throughout the season that Vosawai was under-performing as such. His power is his main attribute, being one of the main ball carriers throughout the year, consistently getting over the gain line, and putting some seriously big hits in on defence. I do think that with a bit more game time and with some time to settle into the squad, Vosawai will become an important part of the Cardiff squad. Back to flanker now and two players vying for the blindside position. Leading the competition is Wales international Josh Turnbull. After joining from the Scarlets last summer, Turnbull has quickly won over the Arms Park faithful with a number of consistent performances, and appeared in every one of Cardiff’s Pro12 games last season. 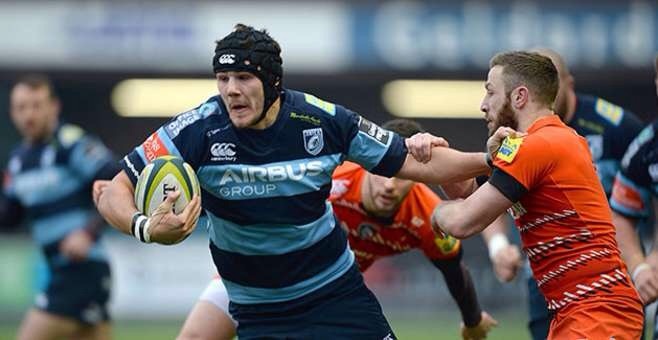 Despite not forcing his way back into the Wales setup this year, the former Llanelli man is still only 27 and has plenty of years to get back into Warren Gatland’s plans and become a key Blues player. Challenging Turnbull all the way is Macauley Cook, the Rhondda boy having graduated through the academy to already make over 70 appearances, yet is still only 23. With the signing of Turnbull, Cook has been consigned to a more bit-part role this season, coming off the bench 13 times, but there could be a way for both players to start consistently next season. In the last blog I wrote about how short on depth and quality we were in the second row, yet here we have two players who can operate at lock. Turnbull made a number of starts there just before Christmas but made no secret of his desire to hold down the number 6 jersey, saying when he signed, “I have played across the back-row, but I want to focus on one position and move my career up another level. I feel focusing on one position week in and week out will improve me; hopefully I can move my game up and push my international claims once again.” Therefore, it seems like it comes to Cook, who signed a new contract until 2018 in February, to bolster the second row options, however I have no doubt he will be a more than worthy partner to Jarrad Hoeata. Meanwhile, behind the well stocked senior ranks of the back row, there are three academy players ready to form the next generation of successful Cardiff flankers/number 8s. Ben Roach and Jordan Viggers at flanker and James Sheekey at number 8, although all are interchangeable, have all appeared in Wales U20 jerseys this season and are seen as possessing great potential. With all three expected to be linked up to Cardiff RFC this coming season it will be exciting to see them improve in the blue and blacks, as well as in the British and Irish Cup with Cardiff Blues A. Conclusion: Probably the best area in terms of quality of the starting players and general strength in depth, so much so that lending Macauley Cook to the second row is possible. With exciting academy players coming through it looks like the back row could form the foundation of the Cardiff team for many years.